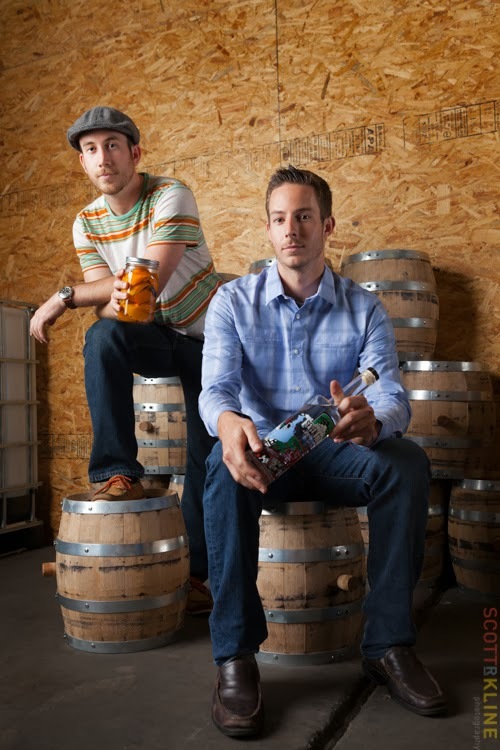 Clint Potter and Tim Obert, of Seven Stills in Dogpatch, sit on barrels that will be used for their whiskey dubbed, Chocasmoke. 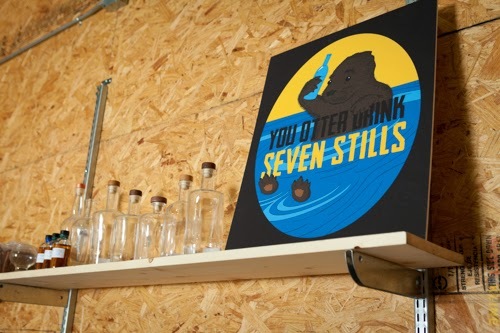 When Tim Obert of the new craft distillery, Seven Stills, asked us to meet him at his office on 23rd Street, we were a bit puzzled -- we weren't familiar with an office building or even a warehouse at that address -- just a building dedicated to storage units. We discovered that it is pretty amazing what can be done with a few sheets of plywood these days. Tim Obert and his business partner, Clint Potter, have set up shop in about 800 square feet in the Storage San Francisco building where they finally relocated after suffering through much less desirable digs nearby. Although their actual distillery is located in Petaluma, their small office functions as their laboratory and maybe eventually, law permitting, a small tasting room for customers and the general public. With their official liquor license prominently and proudly displayed, Obert and Potter showed us around their compact space. The majority of the space was taken up with about 300 cases of their first product, California Courage, a vodka made from a base of corn that they describe as having sweet citrus and floral overtones. Describing how they enlisted family and friends to help them to bottle and cork their first product, Obert and Potter flexed their fingers and massaged their wrists at the memory of the effort. 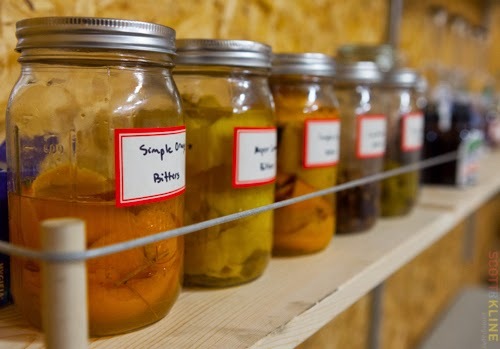 Another wall was lined with jars filled with lemons, oranges and other herbs, fruits and spices that they are tinkering with for the bitters program they also hope to launch. Chris Barry, one of the owners of the Dogpatch Saloon was stopping by later to taste some of their latest concoctions. But their true passion lined yet another wall where small kegs filled with their first efforts of using different beer styles as a basis for whiskey rested. These kegs were filled with a whiskey inspired by a chocolate stout beer from Mill Valley Beer Works. Their first whiskey, dubbed Chocasmoke, should be ready to drink in 2014. Obert and Potter met at U.C. Santa Cruz and kept in touch after graduation with both eventually moving to San Francisco. 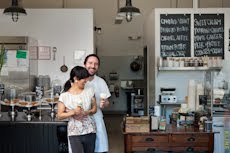 It seems fitting that they two figured out how to be in business together over drinks one night at Dobbs Ferry. On that night they had what Potter described as a "light bulb moment" -- why not combine their passions for beer and whiskey with their own financial resources into their own craft distillery business. Bitters sit on a shelf at Seven Stills in Dogpatch, San Francisco, CA. I've long been a home beer brewer and after college had a few internships in the beer industry. The idea of making something from scratch really appeals to me. And I love to take traditional ideas and put my own spin on them. That's why we use our own beer recipes as well as adapt existing recipes at Seven Stills. But the craft beer market has become pretty saturated in San Francisco. We see a real opportunity to take a local, artisan focus on spirits just as small producers have done in the beer industry. I was studying at Berkeley and was preparing to go to grad school in San Diego to study engineering when I met and became inspired by Fionnan O'Connor who is well known as Mr. Whiskey and teaches class on Irish whiskey at Berkeley. When Tim and I decided to combine our two passions of whiskey and craft beer, I decided to use my grad school money to help form Seven Stills. I decided this business might be a bit more fun and social than engineering. We didn't know a lot about this neighborhood but we did know that it was becoming a mecca for craft beer and spirit ventures and knew this is where we wanted to base our company. We started Seven Stills in January 2013 and in August we finally got our liquor license. We had just eaten at Marcella's Lasagneria and thought we would check out Reno's Liquor Store as a possible place to one day stock our spirits. We introduced ourselves to Dames, the owner. He ordered two cases on the spot! We walked next door to the Dogpatch Saloon and they ordered two bottles. We were thrilled -- we really felt like we were on our way. So explain why you called your company Seven Stills? We really want to be known as a local craft spirits company. There are really few spirit companies left that are truly local anymore. So our label has all these great San Francisco landmarks on it. And the name is meant to honor the seven hills of San Francisco. We hope to have a whiskey for each hill. A sign above the bench at Seven Stills in Dogpatch, San Francisco, CA. 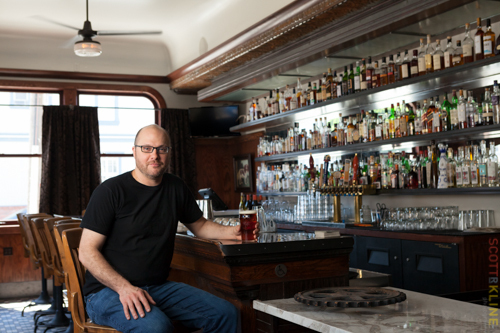 Marc Goldfine sits in the newly remodeled Dogpatch Saloon. The bar has been updated, windows have been added, but the original bar top remains. Photographed on August 20, 2013 in San Francisco, CA. Most residents of Dogpatch welcome the new food and drink venues that seem to be opening in the neighborhood at a furious pace. But there were more than a few furrowed brows and crossed fingers that not much would change at the Dogpatch Saloon, long a neighborhood anchor, when owner Mike Apicelli decided to retire and sell to Chris Barry, Derek Jostad, Sky Wegman and Marc Goldfine -- the team behind financial district watering hole, 83 Proof . For months we walked by the construction at 22nd and Third and wondered what changes would the new owners make -- would there still be jazz music on Sunday nights and what about that never ending crock-pot of chili? Would they make it into a "fancy" bar or would we still feel a sense of belonging no matter what drink we ordered or how we were dressed? When the doors were flung open on a warm Monday in July it seemed that most of the neighborhood had turned out to see what had changed and what had remained the same. And it seemed that a collective sigh of relief was heard as many in attendance voiced that the bar "felt good." The enlarged windows meant a welcome breeze would flow through the bar and no one regretted the remodeled bathrooms. The crock-pot is gone as well as any possibility of food service since the small kitchen was also removed. Live music remains a possibility but for now the Sunday night jazz tradition has been retired. The original Dog still stands guard in the stained glass window over the front door and the brass bell by the bar remains at the ready for last call. The last bar stool is still reserved for the original owner, Tugboat Annie, and Mike Apicelli's name has been added to the brass plate. 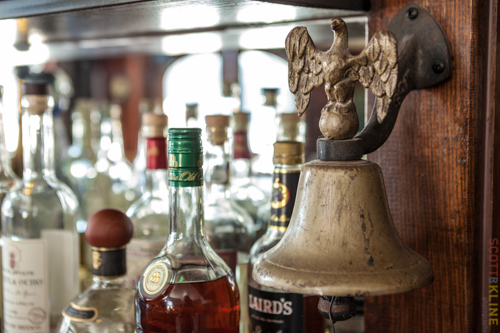 The Bell for last call at the Dogpatch Saloon is one of the pieces remaining from the old salooon before the recent remodal. But the majority of the bar was completely renovated and designer Tess Parker added furnishings and other touches that fit right in; such as the 100 year old bar stools that came from a Stanford University science lab and the benches that were formerly church pews. Owner Marc Goldfine left his post at the bar to welcome customers and to chat about the renovation. His radio-ready voice was easily heard above the large crowd. It truly felt that hardworking Apicelli had turned over the bar to a like-minded team who provided a much needed refresh to the Dogpatch Saloon. A few weeks after the opening Goldfine agreed to chat with us about his background and the process behind reopening the Dogpatch Saloon. As we chatted, Mike Apicelli poked his head through an open window to say hello and to check in. Delivery men pounded on the locked door and one of the bartenders stopped by before their shift to see if anyone wanted her to pick up a sandwich for them. We uncrossed our fingers. It sounds simplistic but I love bartending and luckily it pays the bills. I enjoy the social aspect of being a bartender and I like the creativity of creating cocktails. I grew up in Chicago and first visited San Francisco when my brother came out here to live. I fell in love with the city and knew I would be back. I currently live in the Sunset neighborhood and I've been in SF for 15 years. I was in the food business in Chicago and I also had always been told that I should go into voice acting. So for awhile bartending paid for my voice acting classes! When I came to SF my brother helped me get a job at a bar where I worked my way up from working the door to a barback to eventually one of the bartenders. From there I worked at various other bars including The Black Cat in North Beach. I met the other 83 Proof guys while working at LuLus. Chris Barry had always had a goal of opening a bar. At the time I had zero interest in being an owner but I loved bartending. He and the other guys opened 83 Proof in 2007 and I started out as their sole employee and over time became one of the owners. But I'm still the anchor bartender at 83 Proof! Former owner Mike Apicelli approached Derek and indicated that he was ready to retire and wondered if we might be interested in taking over his saloon. I had heard about the neighborhood but hadn't spent much time here. When this opportunity came along, I walked around the neighborhood and liked what I saw. I loved the Pelton Cottages, the weather and liked that the grittiness is still here despite all the changes. We felt that the bar had good bones and just needed a refresh -- it hadn't really changed with the neighborhood. Everyone has been so welcoming to us -- merchants and neighbors. And we are very thankful for Hard Knox Cafe and Just For You Cafe because we were frequent diners there during renovation! This isn't really one story but once we got into the renovations we were just amazed to find out how much this place was jury rigged! Just one example -- turns out the bar had been using the electricity from the wine bar next door, Yield, for years. But somehow it all worked anyway! 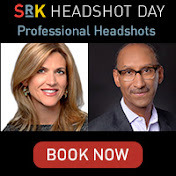 Probably voice acting. I broadcast the sports and news on college radio but beer and girls made me less dedicated than I might have been.